Jaded Blossom: Rain or Shine! 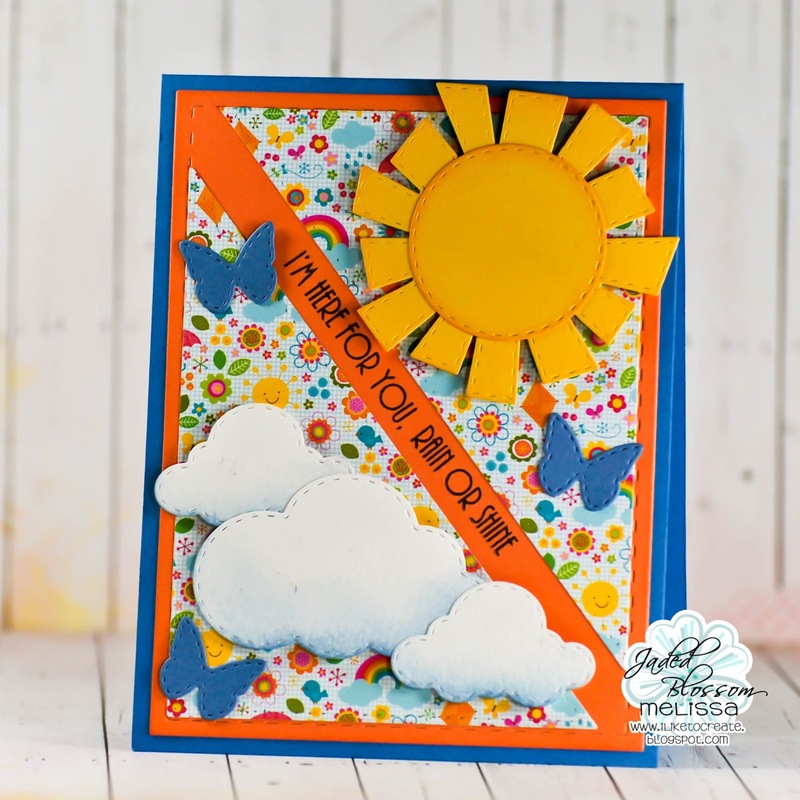 It's Melissa from M Miranda Creations and it is my turn to take over the blog. 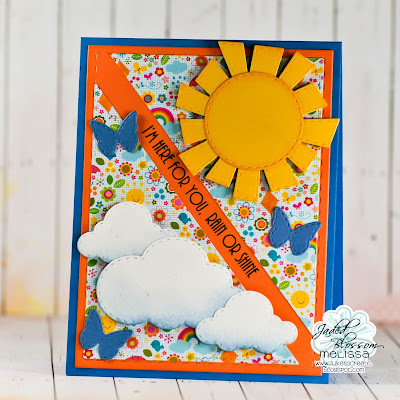 Card Layer Dies 1, Card Mat Dies, Spring Dies 2, and Rain or Shine. from both Papertrey Ink and Co'ordinations. Thanks for coming by to have a look! what a cute card to someone who needs a pick up.